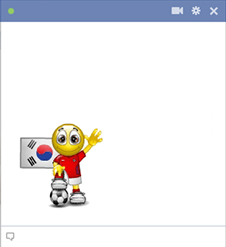 This emoticon with its cheerful spirit and colorful flag is an exciting image to share on FB. Celebrate your favorite team and root them on to a soccer victory. Our images are designed for you to use for free every time you visit Facebook. Now you can show your support for this dedicated team.